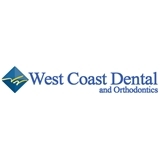 West Coast Dental & Orthodontics (Arcadia) - Book Appointment Online! Welcome To Your Home For Friendly, Affordable Dental Care. Welcome to West Coast Dental, where you’ll find caring dentists and specialists, with the latest technology, dedicated to providing quality care and great smiles that last. Whether you are looking for a cleaning in Covina, veneers in Valencia or braces in Baldwin Park, we have locations across the greater Los Angeles area, many offering extended and weekend hours. Our services include: children’s dentistry, cosmetic dentistry, orthodontics, dental specialties and general dentistry, so we can take care of all of your families’ smiles. Omg! The greatest dental experience I have ever had. I thank you all!!! You are the best!! Fast, love the visit. Treatment was explained before we started dental work and doctor was nice. Dr. Cabrera was amazing to my daughter! She used to be nervous when going to the dentist but he made her at ease. I highly reccomind Dr. Carera. Dr. Kyaw was professional, gentle, kind, and highly competent during his brief exam, as was his hygienist, who gave me a painless gum check and cleaning. I wish I could say the same for the rest of the staff at this practice. The X-ray tech had to reshoot some teeth multiple times because she chose a bite wing that wouldn't fit (rather painfully) in my mouth. On my return visit, the wait was so long that some other patients walked out, while the front desk was involuntarily rescheduling others who'd waited up to an hour. And then my fillings were done roughly by another dentist I hadn't chosen, although I wasn't told it would be another dentist when I made the appointment. Hes very gentle and efficient.